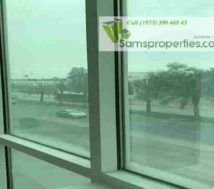 Ready office for rent in Budaiya Highway Bahrain. 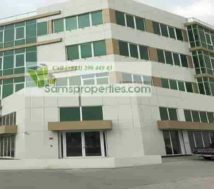 Open office for rent in Budaiya Bahrain. 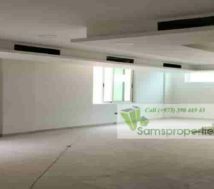 Ready office spaces in 85 to 90 square meters. 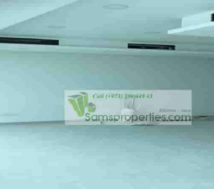 Office with two toilets | pantry and parking on the Budaiya Highway. Total office size in one floor is 351. 54 square meter. Finished office spaces, which is ready for Commercial registration (CR) as well. In addition, there have shops for rent as well. View Google photos of Budaiya office. What is the rent cost of this office in Bahrain Budaiya? This Budaiya office spaces are in low rent cost. Each office rent is just Bahrain Dinar 350 per month. Certainly, the rent may have to negotiate subject to the area leasing. Open office rent in Bahrain Budaiya. These offices are in open design, which is easy to make cabins. This is a new commercial building with offices on the first floor. Whereas, the ground floor is with shops for rent. Indeed, there have different sizes of offices for rent. Small office is 84.71 square meter and large offices for rent as well. What is the size of each office rent in Budaiya Bahrain? There have many sizes of office space for rent. That is to say that there have single unit in 84.5 | 85 | 90.5 and 90.78 square meters. In other words, one floor is 351. 54 square meter. All are open office spaces, which can combine together as one office. Besides, each office has two toilets and one pantry. Above all, thee have lifts and wide open parking as well. 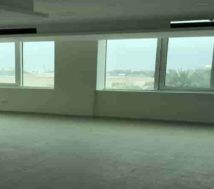 In conclusion, this open office rent in Budaiya is a good option for those who are searching for an office in Bahrain.